11 years ago, two months after the proclamation of independence, parliament also ratified the country’s Constitution, which came into effect on 15 June 2008. The Constitution is the most important legal document which guarantees fundamental rights and freedoms for citizens of this country. The Constitution defines Kosovo as a secular state. This document has 14 chapters and 162 articles. On the occasion of this 11th anniversary, Prime Minister of Kosovo, Ramush Haradinaj said that the Constitution is there to uphold the rights of the citizens of this country. 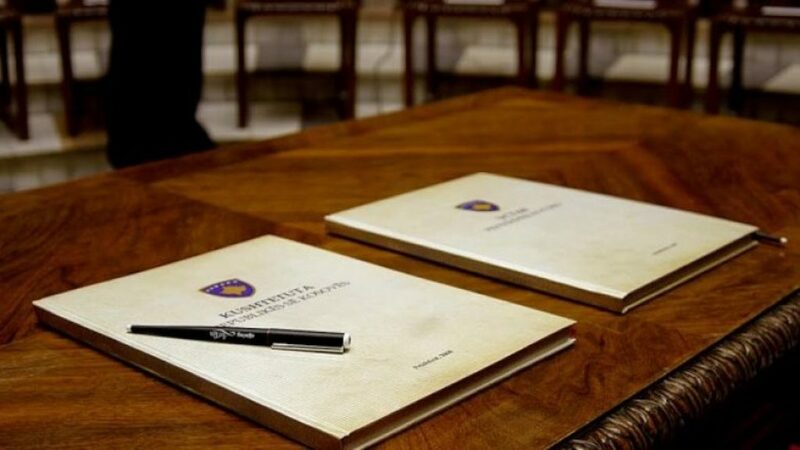 “Citizens of Kosovo have written the chapters of a modern Constitution. 11 years ago, Kosovo became an independent and sovereign state, guided by liberal ideas and Western principles”, Haradinaj said. Leader of Kosovo Democratic League, Isa Mustafa said that April 9 is one of the most important days for Kosovo. According to him, on 9 April 2008, Kosovo aligned itself with many other developed countries which have enshrined human rights, peace and democratic values in their constitutions. Kosovo used to have a different Constitution in 1974. This constitution enabled the country maximum organizational independence as part of former Yugoslavia. Despite Serbia’s objection, Kosovo declared its independence on 2 July 1990 and on 7 September, parliament also ratified the Constitution of the Republic of Kosovo.